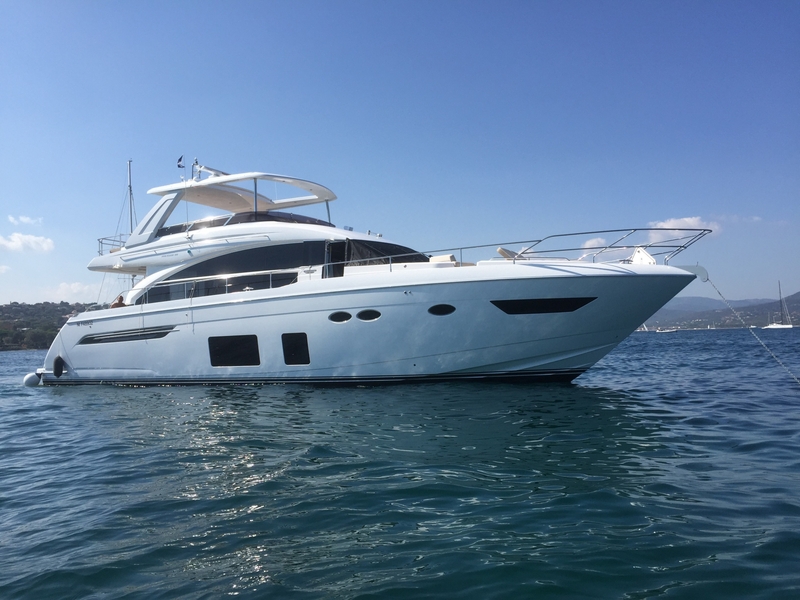 21m/70ft luxury yacht BOB FAMILY was built by Princess Yachts in 2017 and is constructed from a GRP hull and superstructure. 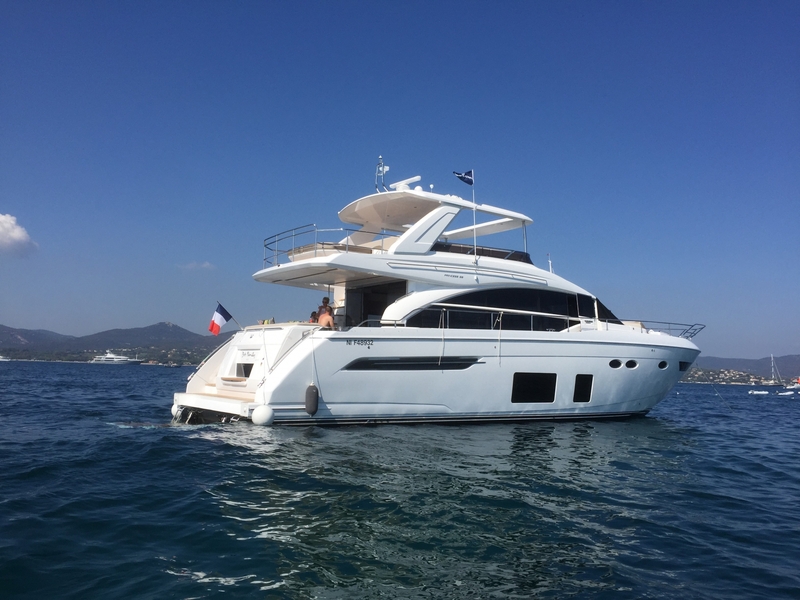 The interior styling was also completed by the shipyard and provides modern surroundings for up to eight charter guests, who are accommodated over four en-suite cabins. The main deck aft cockpit provides a soft sofa wrapping around a dining table for the ideal place to dry off and dine after sunbathing on the swim platform or playing on the water toys. 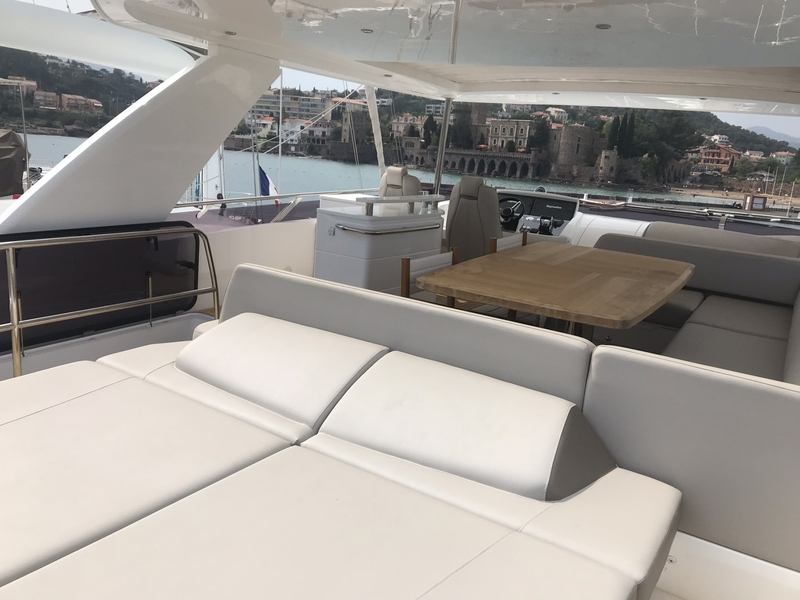 On the foredeck, a sofa and drinks table create the ideal place to take in the forward views and enjoy the sunshine or sunbathe on the bow sun pad/sun loungers. On the flybridge, there is a broad selection of sun pads to the aft and C-shaped seating around a raised table for alfresco dining and outdoor living beneath the shade of the hardtop. A second seating area is placed starboard of the helm station and a bar opposite will provide refreshments to complement any meal. 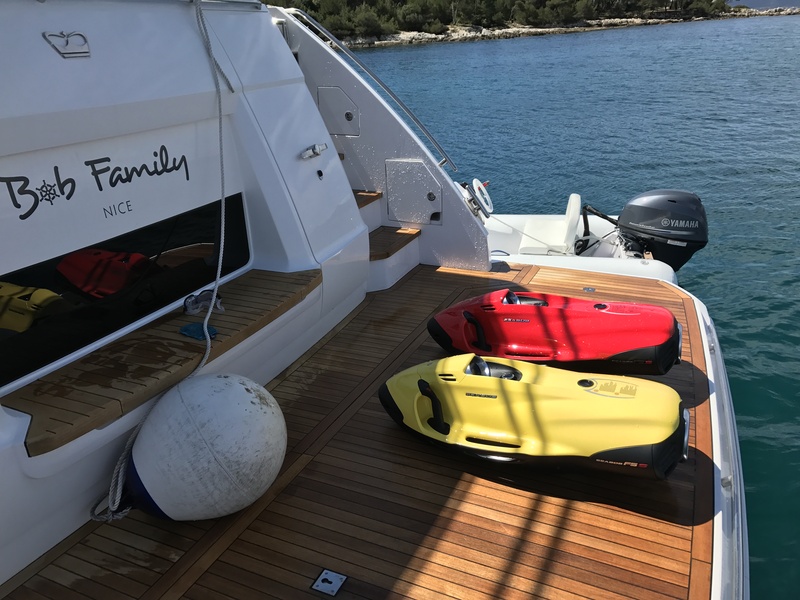 The lower deck contains the water toys storage area to the stern, with guest accommodation consisting of a Master suite, VIP stateroom and two convertible twin cabins amidships. The crew accommodation and facilities are placed within the bow. On the main deck, the salon is separated into two spaces that place the lounge area forward with a C-shaped sofa around a coffee table with a second sofa opposite. 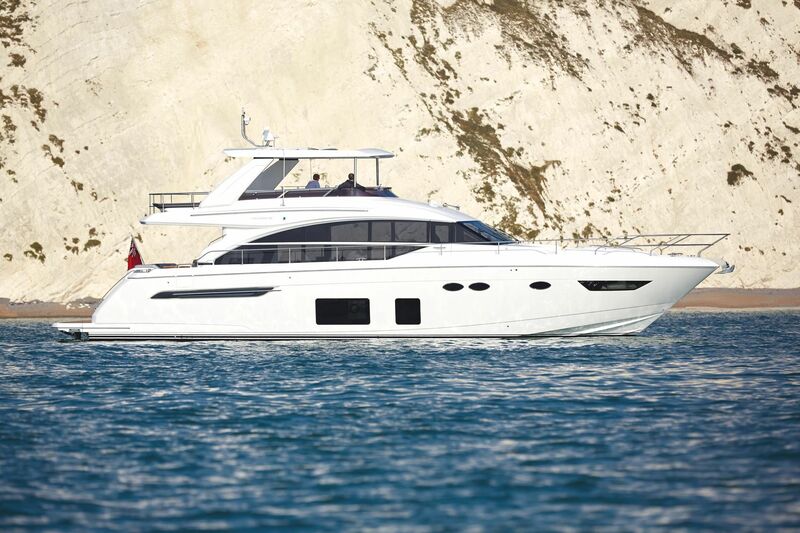 Large windows span the port and starboard sides, ensuring the guests have plenty of natural light for daytime reading, while at night the widescreen TV is ideally positioned on the cabinetry. A galley on the port side close to the aft sliding doors and an L-shaped alfresco dining area can become an indoor/outdoor space when the sliding doors are pulled back. Twin MAN engines each producing 1,400 HP allow for a top speed of 30 knots and a cruising speed of 24 knots. The accommodation sleeps up to 8 guests over 4 en-suite cabins: 1 Master suite, 1 VIP stateroom and 2 twin cabins convertible to double cabins. The crew of 2 will ensure that everything runs smoothly throughout the journey.